Logo/word-mark for Dax Miller design. 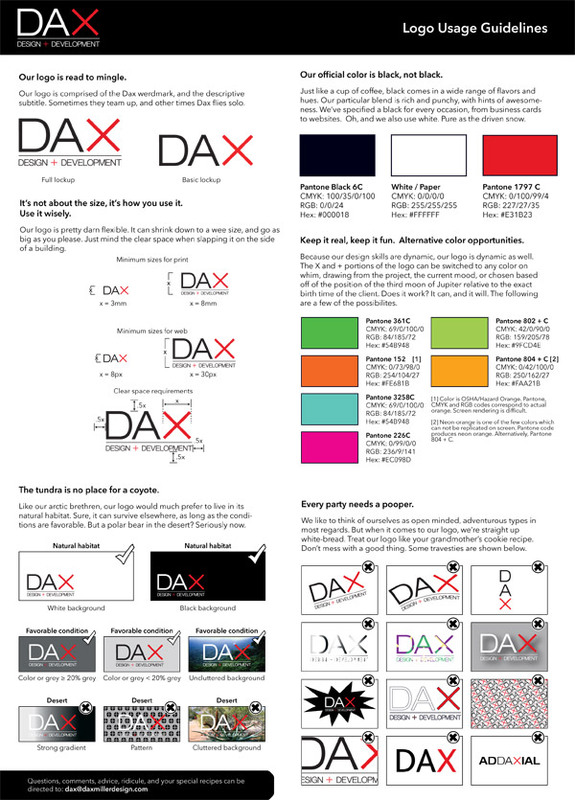 A logo for the solo architecture practice of Dax Miller, based on initial concepts provided by the client. The original concept was refined and finesse to give visual balance and form, with a nod to the client’s own modernist aesthetics. Color options highlight the X in the client’s name and ranges of services, also allowing for opportunities where the highlight color within the logo can reflect colors per each architectural project. Full guidelines were developed and provided to keep up basic continuity throughout the client’s career.